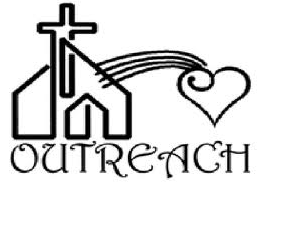 The mission of the Growth and Outreach Ministry is to offer ways to invite people to share in the ministry of Second Baptist Church, to make the church more visible in the community and be a more open and welcoming congregation for all. This year, we have been focusing on three different areas. What are effective means of communicating information about the mission of Second Baptist Church to members and nonmembers? We do this through publicity in newspapers, through our website and our Face Book page. We are in discussion about how best to reach out to and support people in our community by opening lines of communication with groups such as the Visiting Nurses Association, Emergency Aid Association, the First Selectmen's office and Community leaders. In the last months of the year, the feasibility study for a capital campaign conducted by Partners for Sacred Places took on most of this task. In what ways do we encourage people to visit and then become engaged in our church community? In what ways do we make people feel welcome and how we express a clear understanding of who we are here at Second Baptist Church? One way for us to help people feel welcome is by having one person greet people following worship alongside the Pastor. We continue to encourage everyone in the congregation to be “welcoming the stranger” in our midst on Sundays and other times, encouraging people to bring friends, co-workers, family members, and neighbors with them to worship, educational events, small groups, fellowship events, etc. Our hope is to build both a growing church and a church of growing people.